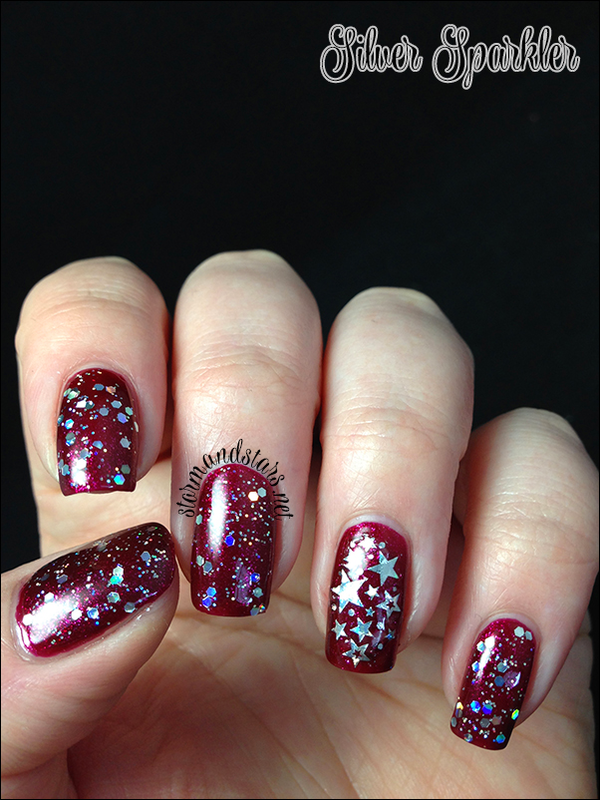 I have some selections from a great holiday themed collection for you from Salon Perfect today. 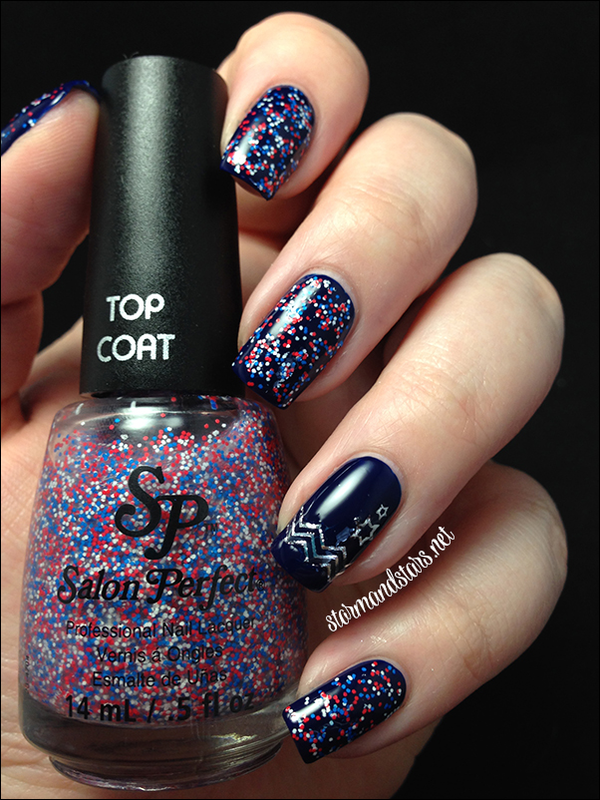 This collection is a well rounded mix of cremes, glitters and shimmers just perfect for your 4th of July manicure. I have 7 shades to show you today as well as three different nail art kits. Lets get right into the manicures shall we? First up is a multicolor matte glitter topper. Meet Boom Boom Boom. 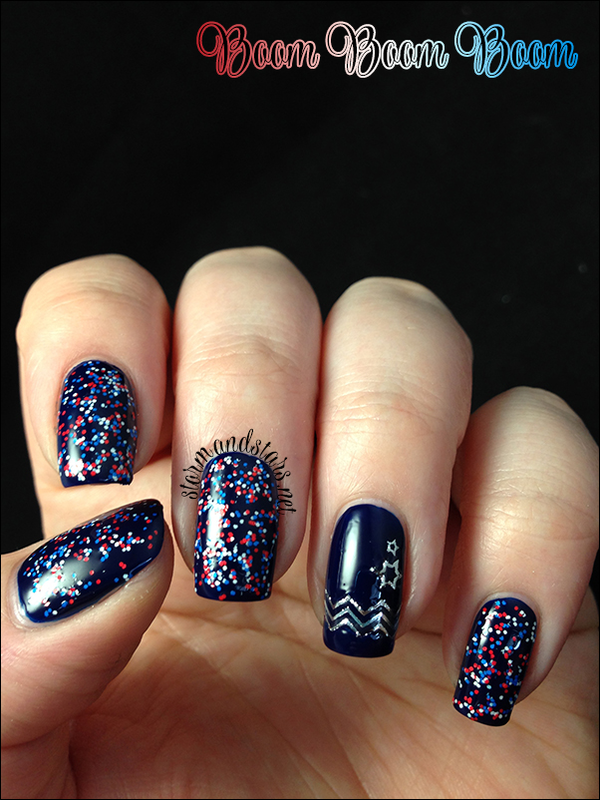 Boom Boom Boom is a matte glitter topper loaded with red white and blue matte glitters all in a small size. You could probably layer this to make it opaque, but I chose to put it over a base of Cult Nails Time Traveler. I used one coat over Time Traveler and also did some dabbing to cover a few bald spots when I was done. I suggest dabbing this one on as all the small glitters like to stick together when applying. 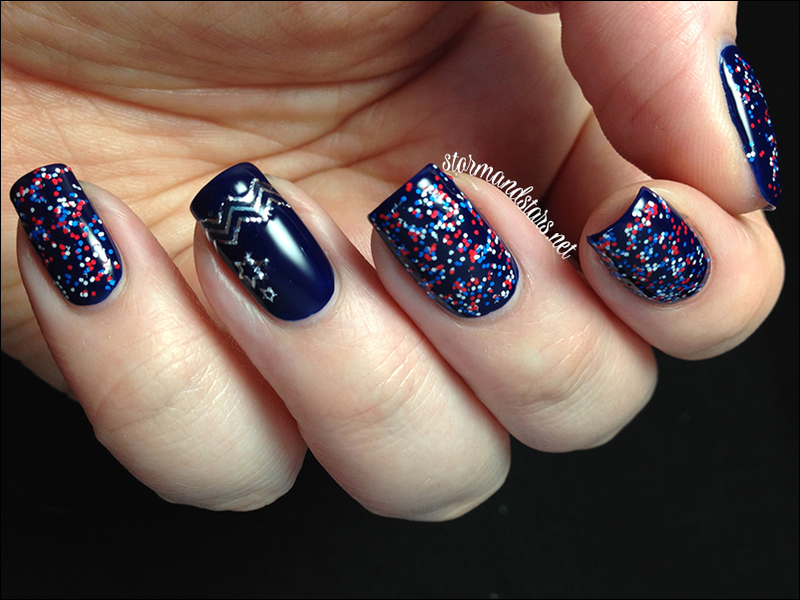 On my ring finger I added some decals from the Salon Perfect Firecracker Nail Decal Kit and then I coated each nail in a thick topcoat to smooth them out. This next subtle shimmer lacquer is Wild Blue Yonder. I used two coats of Wild Blue Yonder for these images and did not add any topcoat. The polish went on a little streaky on the first coat but evened out fine on the second and dried super shiny. It was almost a one coater and I definitely suggest a light hand because of the streaking. I was really happy with this blue on my nails. 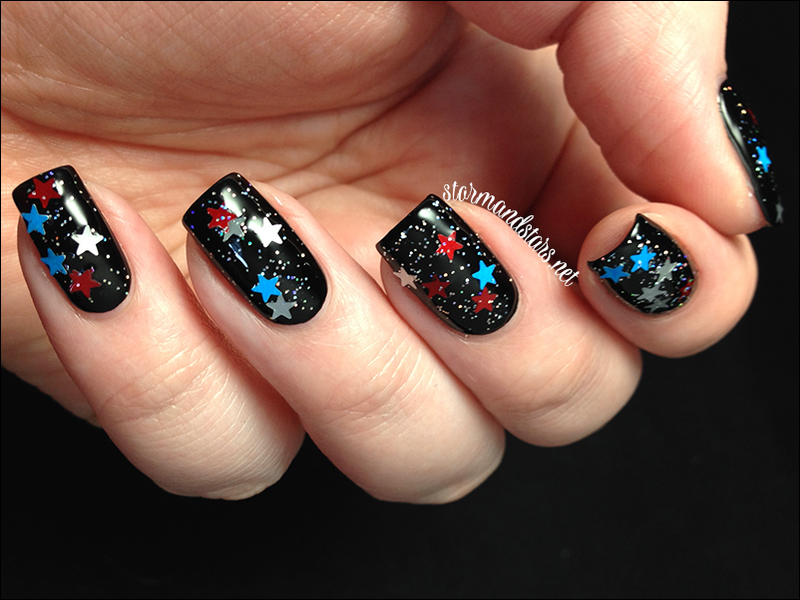 It is bright without being neon and perfect for a simple Independence Day manicure. Silver Sparkler is coming next! 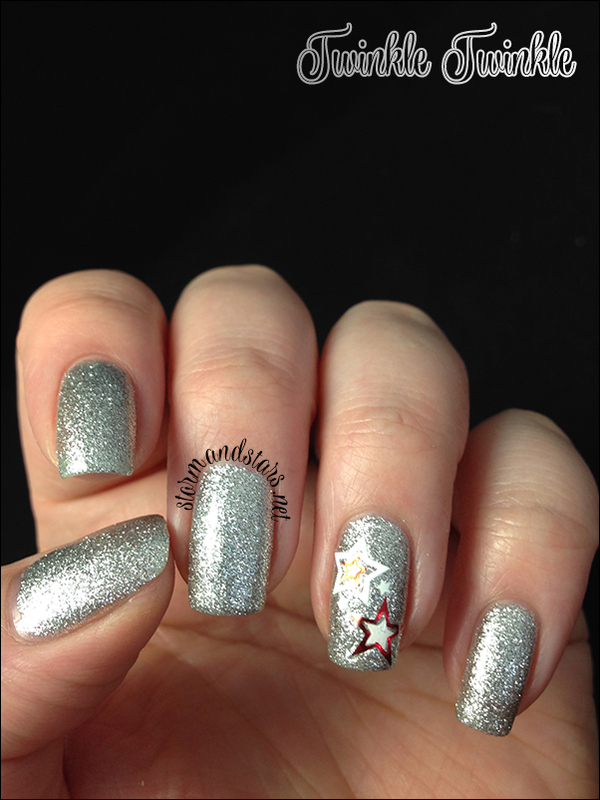 Silver Sparkler is a silver holographic glitter topcoat. This glitter topcoat is loaded with silver holographic hex glitter in all different sizes. It is crazy sparkly and would look great over any color. I chose to layer this glitter over one of my favorite reds, Cult Nails Bitten. I used one coat of Silver Sparkler plus topcoat for these images. 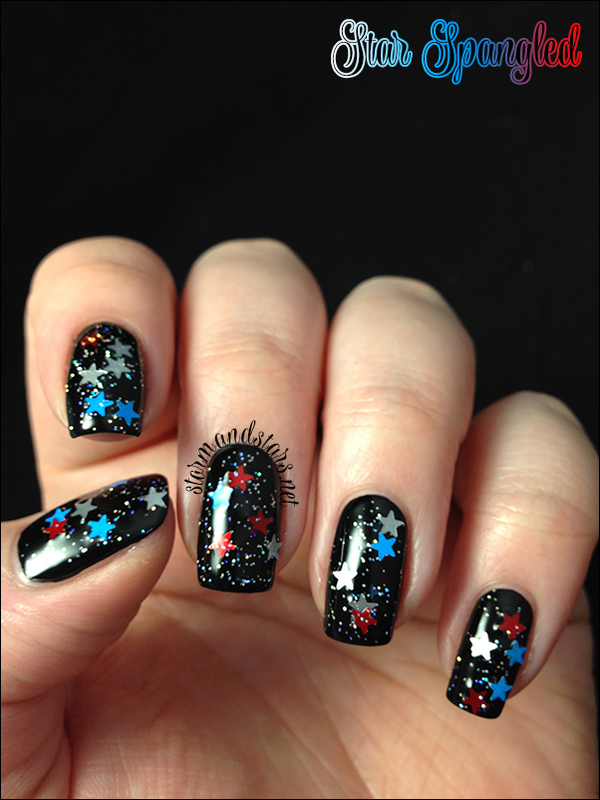 The formula was great and the glitters went on smoothly. 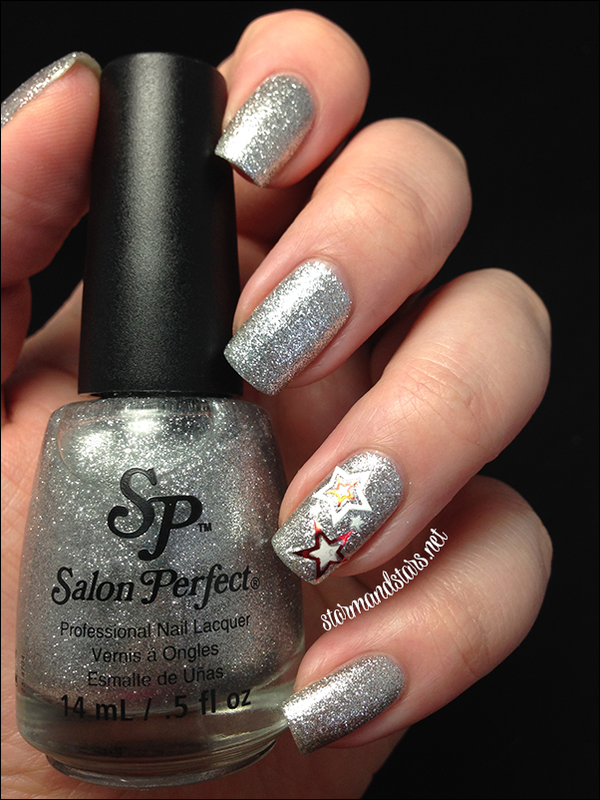 On my ring finger I added a holographic star decal from the Salon Perfect Star Struck Nail Decal Kit. If you want super simple, then Sugar Cube is for you. Sugar Cube is just what is looks like. This white creme was opaque in three coats though if you're very careful you may get away with two. 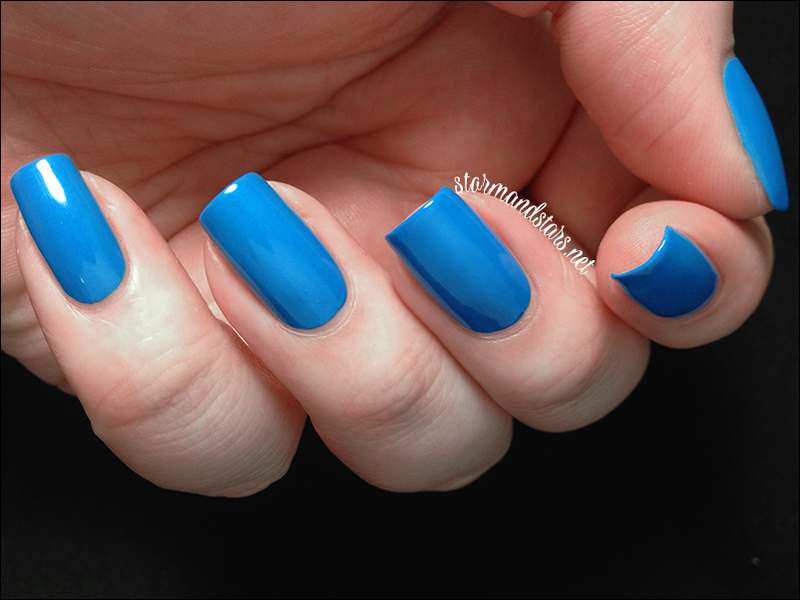 I did not use any topcoat in these photos and I found the formula to be decent for a white. 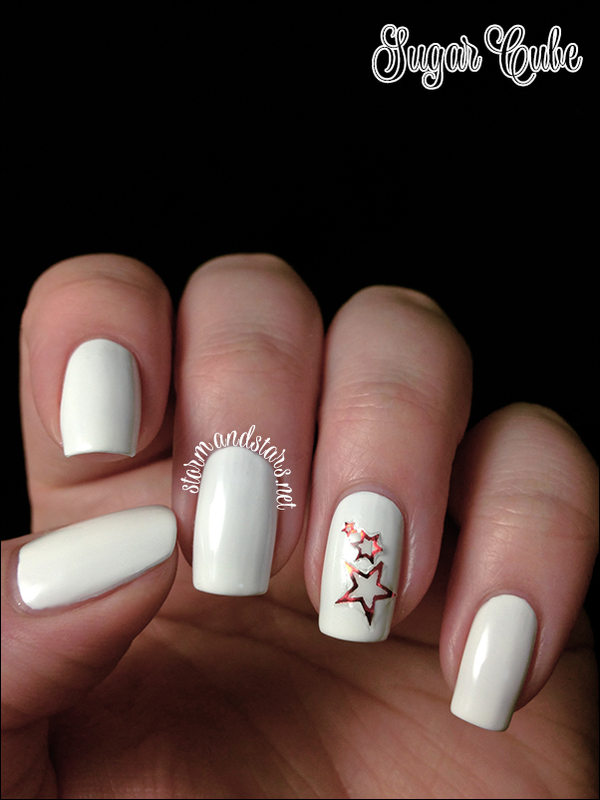 On my ring finger I added a couple star decals from the Firecracker Nail Decal Kit. You can see the edges there, but that is user error as I put it down too soon and tried to lift it. Oops. This next glitter topper is Grand Finale. 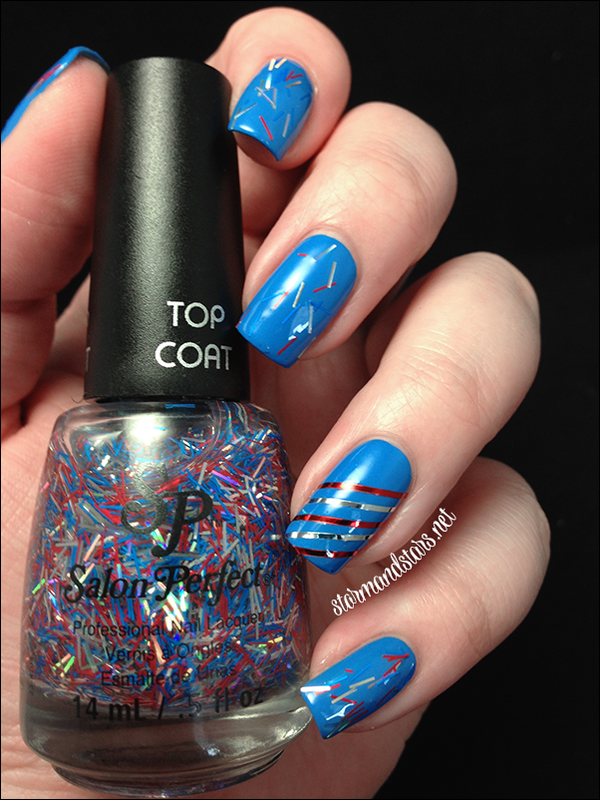 This glitter topper is loaded with red, silver and blue bar glitters in a clear base. 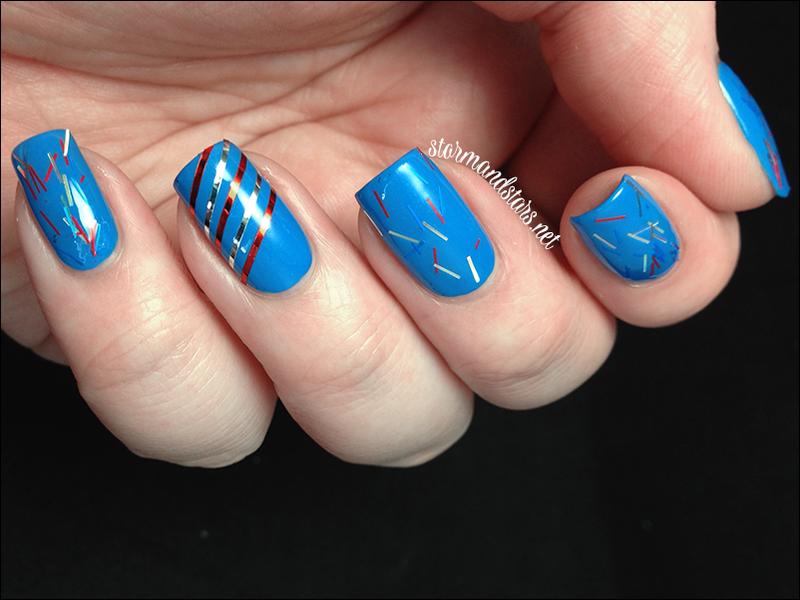 I used one coat plus some placement over Wild Blue Yonder for this look. I added topcoat to smooth it all out. I didn't have too much trouble with this glitter, though there was some placement as I said due to the glitters wanting to stick out past my nail tips. 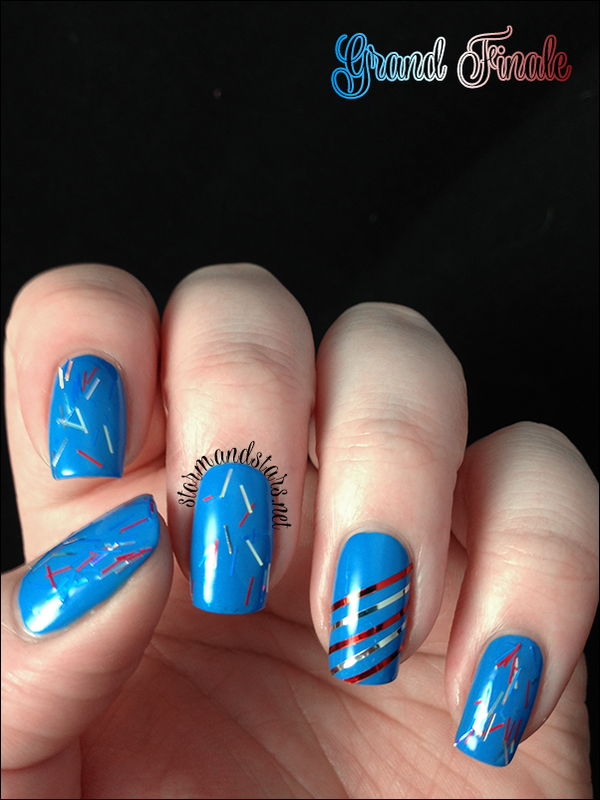 On my ring finger I added some stripes using the striping tape from the Salon Perfect Red, White and Blue Forever Kit. I had no trouble with the red and silver, though I could not get the blue to peel at all, it just kept shredding, hence only the other two colors. 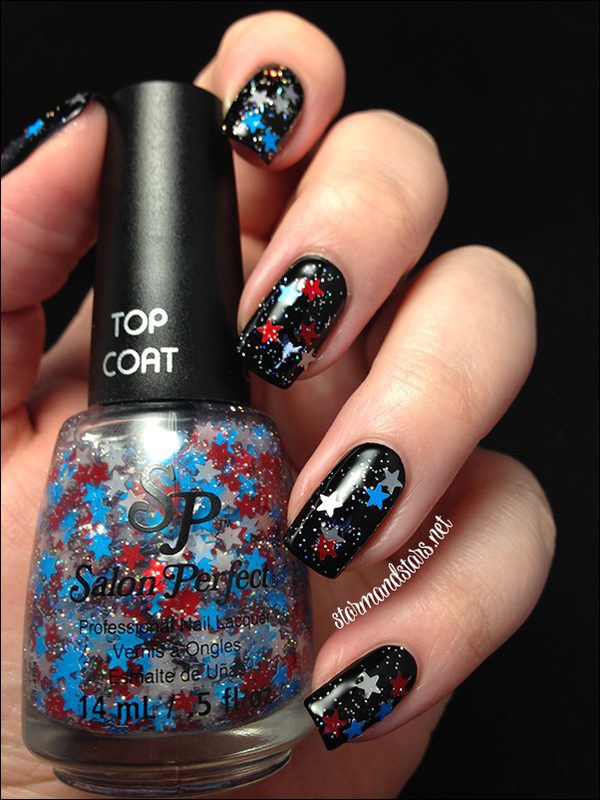 One of my favorites is next, this is Star Spangled. I layered one coat plus some placement over Cult Nails Fetish for this look and then coated it all with topcoat. Last up and definitely my favorite of the collection, here is Twinkle Twinkle. 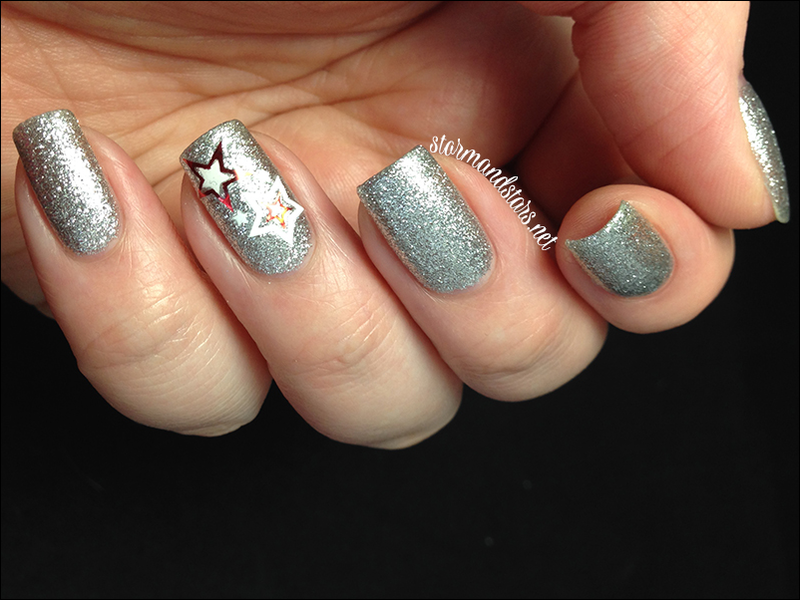 Twinkle Twinkle is a super shiny silver glitter lacquer. This thing is absolutely loaded with silver micro glitter and when you put it on it is just WOW! I swatched this second and did not want to take it off! 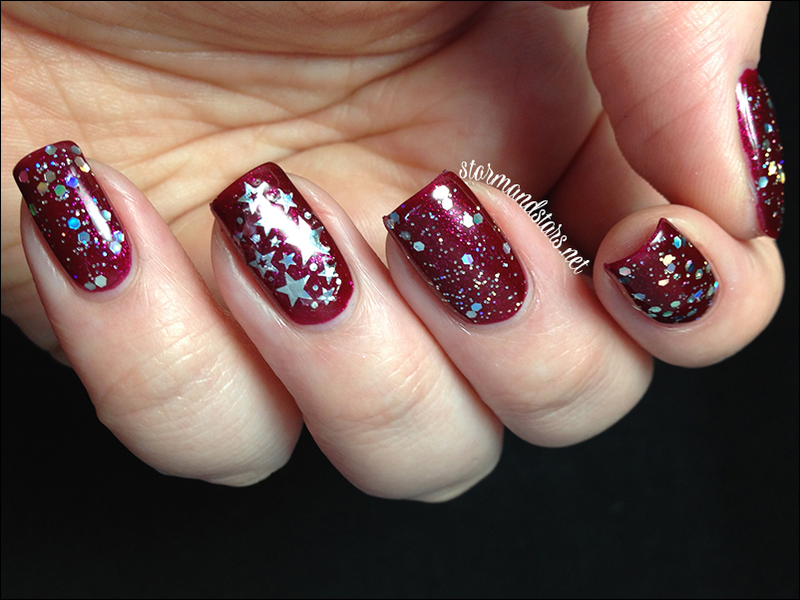 I used three coats of Twinkle Twinkle alone for these swatches and loved this finish without any topcoat. The formula was great and I had no problems with it. 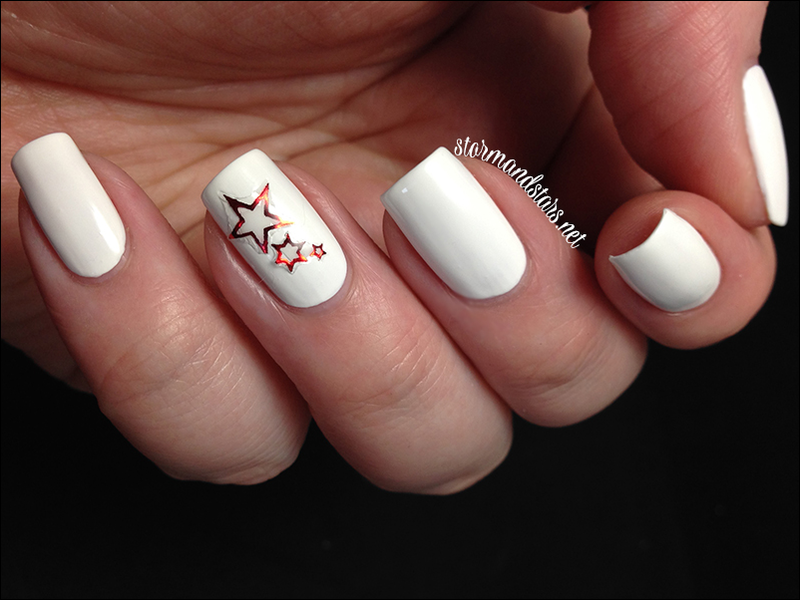 On my ring finger I added some decals from both the Salon Perfect Firecracker Nail Decal Kit and the Star Struck Nail Decal Kit. Overall I love this grouping of lacquer! 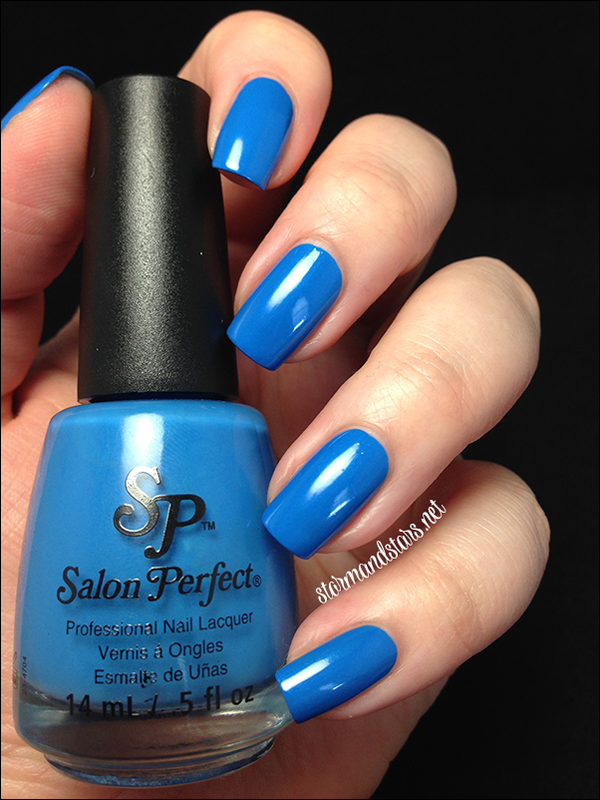 You can purchase these and other Salon Perfect shades from select Walmart stores. The Salon Perfect® Paint the Town Red, White & Blue collection will launch in June as part of a limited edition promotional display at select Walmart stores nationwide. Polish, pens and tools will retail for $3.98 each and the Nail Art Liners, Decals and Striping Tape will retail for $1.98 each. Make sure you are following Salon Perfect on social media to keep up to date with new collections and info about the brand! What are you waiting for? Go forth and purchase!